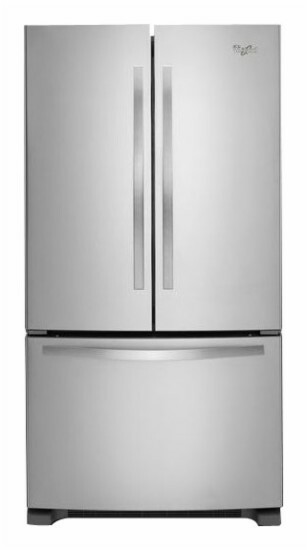 Keep your fresh and frozen food organized in this Whirlpool WRF532SMBM French door refrigerator, which features a 21.7 cu. ft. capacity for ample storage space. The Accu-Chill temperature management system helps maintain food's freshness.